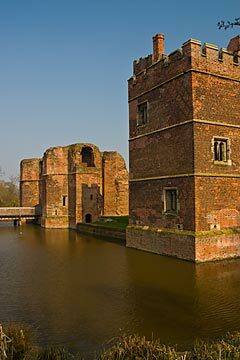 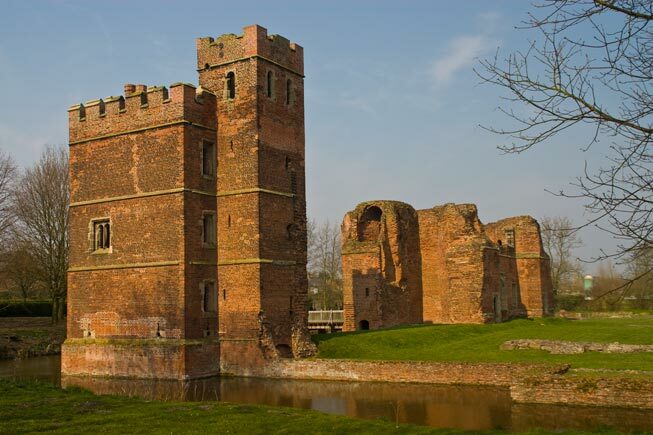 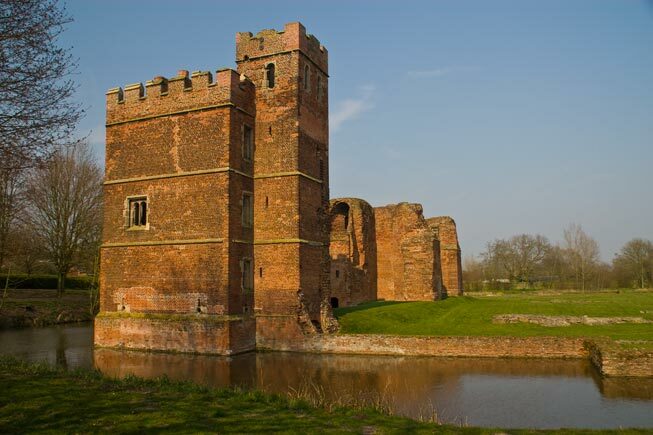 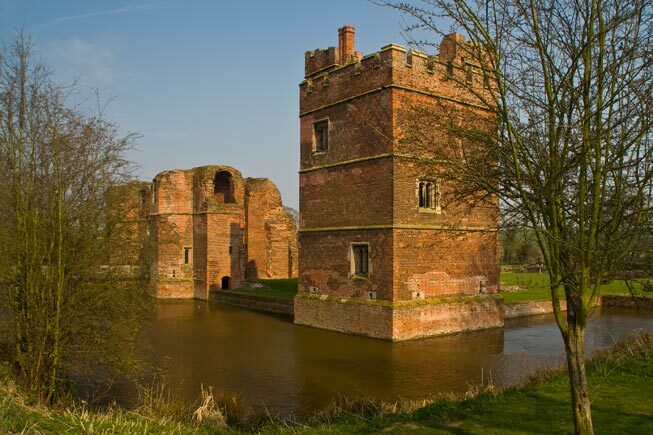 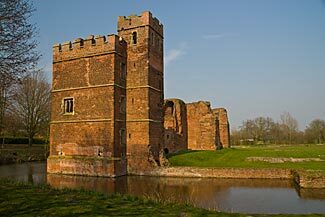 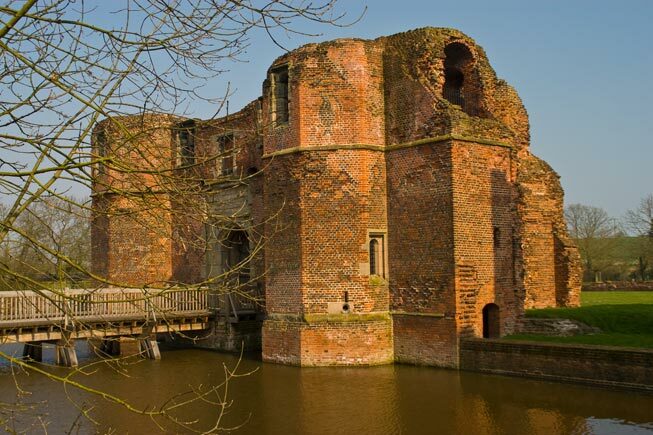 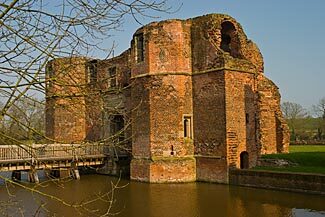 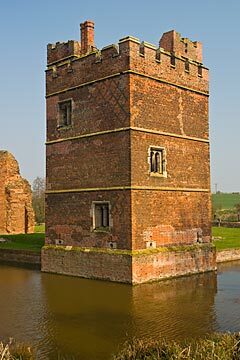 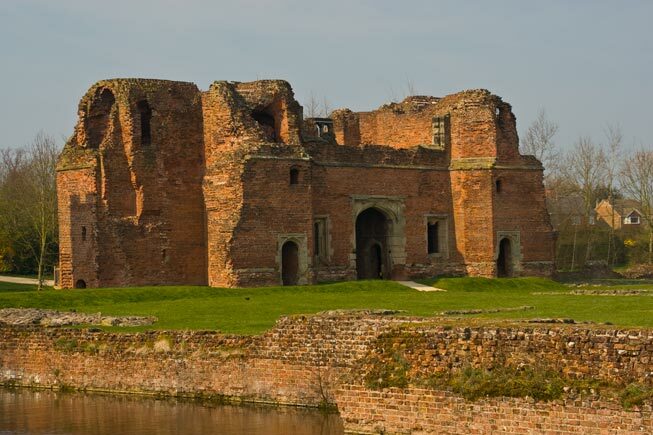 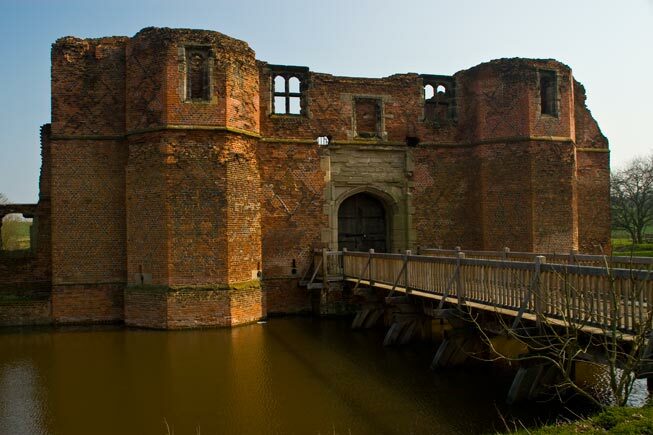 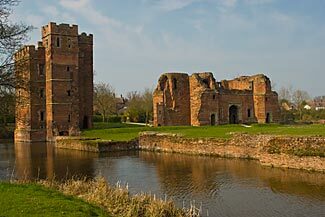 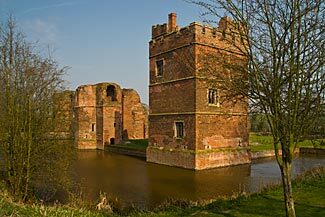 Built by William, Lord Hastings, Lord Chamberlain to Edward IV in 1480, Kirby Muxloe was a red, brick-built castle, surrounded by a moat. 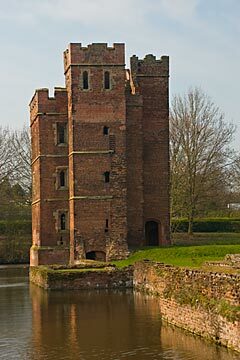 Originally a square castle with a tower at each corner and further towers half way along three of the sides, the fourth side had a large gatehouse in the centre of its wall. 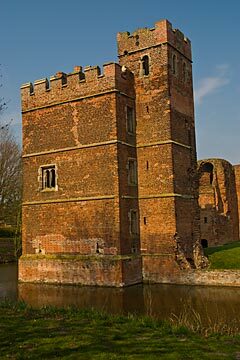 Now, little more than one corner tower and the gatehouse survive.